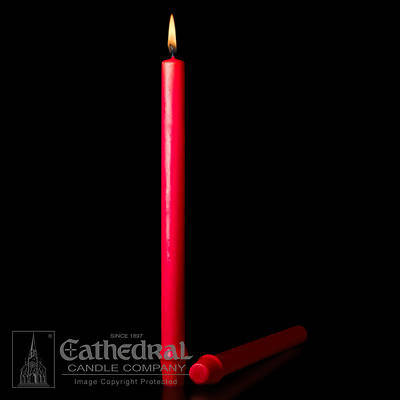 Cathedral 51% Beeswax Christmas Red Altar Candles - 7/8" x 12"
Add a special holiday touch to your Christmas altar decorations with these red altar candles . Made of 51% Beeswax these candles are 7/8" x 12" with self-fitting ends and sold in boxes of 24. Made in the USA.